HomeHow Could Modern Orthodox Judaism Produce Jared Kushner? In our annual progression through the Torah, we are now deep into slavery in Egypt. And each year, around this time, as I read the first Torah portions in Exodus, the same thought occurs to me: Why is all this necessary? By the end of Jacob’s life, he’s back in the Land of Israel, the land God has given him and his progeny. Why must the Jews leave, become slaves in Egypt, wander through the wilderness, and fight their way back to the place where, at the end of Genesis, they already reside? Why the big detour? Obviously, there are many answers. It is in Egypt that Jews evolve from a family into a nation. It is in Egypt that God displays to that nation his awesome power. It is in the wilderness that God gives the Torah. Slavery, in other words, was meant to ensure that Jews would remember powerlessness once they gained power. Jared Kushner is what happens when that memory fails. Rae Kushner was the daughter of a furrier in the Belarusian town of Navahrudak. The Nazis murdered her mother, her elder sister and her younger brother. She survived, with her father and younger sister, by climbing through a tunnel out of the ghetto and then living in the forest for a year. Jared Kushner, her grandson, has lived a very different life. He attended Harvard after his father gave the university $2.5 million; he bought a newspaper company when he was 25, and now he advises his father-in-law, the president. Their lives illustrate the revolution in Jewish fortunes that has occurred over the past 75 years. In remarkable ways, modern Jewish history echoes the passage from powerlessness to power that begins in the Book of Exodus. Therefore, the challenge for Jared Kushner, and everyone in our extraordinarily privileged generation, is to remember our ancestors’ suffering and honor their memories by defending the weak, vulnerable and oppressed today. How could Kushner — a Modern Orthodox golden boy — fail to internalize that? How could he invite Donald Trump’s Cabinet to his house for Shabbat dinner only hours after his father-in-law’s executive order banning refugees from entering the United States? How could he pose in a tuxedo alongside his wife, Ivanka Trump, on Saturday night as that executive order wreaked havoc on innocent people’s lives simply because they hailed from the wrong countries? Kushner’s failure is not his problem alone; it should chill every Modern Orthodox educator, rabbi and parent in the United States. How could the Modern Orthodox community, a community that prides itself on instilling in its children Jewish knowledge and ideals, have failed so profoundly? The Frisch School, the prestigious New Jersey yeshiva from which Kushner graduated, should conduct the kind of after-action report that the military conducts when its operations go awry. Every synagogue where Kushner prayed regularly should ask itself whether it bears some of the blame for having failed to instill in him the obligations of Jewish memory. Even if it is too late to influence Kushner, Modern Orthodox leaders still can work to ensure that they do not produce more like him in the years to come. Obviously, not all Modern Orthodox Jews share Kushner’s moral indifference. Last November, the Orthodox social justice organization Uri L’Tzedek organized a remarkable letter condemning “Trump’s hateful rhetoric and intolerant policy proposals.” On Monday, Rabbi Kenneth Brander, a vice president of Yeshiva University, sent out a tweet congratulating the Cardozo Law students who were working to help people hurt by Trump’s ban. But these are the exception, not the rule. Kushner’s moral failure challenges the Modern Orthodox community — a community for which I have enormous admiration — to ask why it is often more stringent about ritual lapses than it is about ethical ones. Why do many Modern Orthodox Jews shudder at the thought of eating nonkosher cheese, yet proudly support Trump? In his book “Spiritual Radical,” Edward K. Kaplan tells a story about the Kopitzinitzer Rebbe. One day, a friend introduced the rebbe to a man whom he proudly declared to be shomer Shabbat, observant of the Sabbath rules. The rebbe looked at the man and asked, “Are you shomer hol?” He was asking him how he behaves during the week. At this ugly and frightening moment in our country’s history, that’s the question Jared Kushner, and the community that produced him, should be urgently asking itself right now. 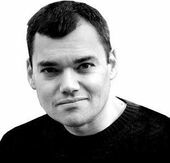 Peter Beinart is a senior columnist and contributing editor at the Forward. Follow him on Twitter, @PeterBeinart. This story "Jared Kushner’s Moral Failure Indicts Orthodox Judaism" was written by Peter Beinart. Peter Beinart is a Senior Columnist at The Forward and Professor of Journalism and Political Science at the City University of New York. He is also a Contributor to The Atlantic and a CNN Political Commentator.